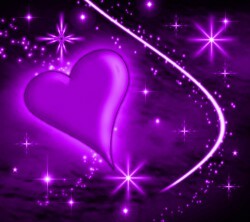 « Random Acts of Kindness will be spreading throughout the world! More than 20,000 students will be exposed to the awareness of random acts of kindness on Abby’s birthday. Students will be encouraged to perform RAK not just on that day but throughout their lifetime. What you see to the left is a 13×19 inch poster that will be displayed in all schools. Students will be encouraged to put in pen what they have done for RAKD. CB Cares Educational Foundation is a community coalition of individuals, businesses, and agencies, whose goal is to promote positive values, attitudes, and behaviors, particularly in our community’s youth. The Abby’s Light Memorial Foundation is proud to align with such a hard working organization. 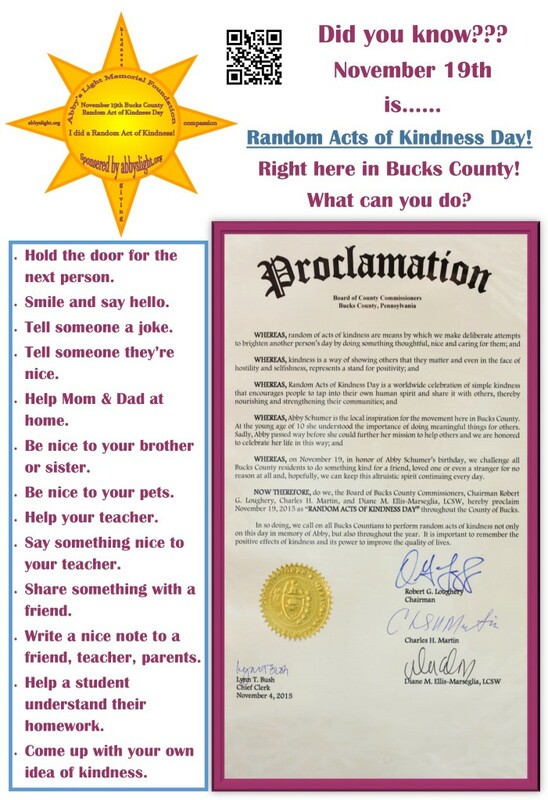 Between the students, the school district staff and CB Cares, kindness awareness is getting a big boost in the Central Bucks community and as these things go, it should have a ripple effect to many other areas as well.